To celebrate the launch of the brand new Moobox Rechargeable Battery Cloud CCTV system, we're giving you the chance to win one of two security camera kits complete with 7 days Free Cloud recording, to help secure your home this winter! No cables. No drilling. No subscription fees. Moobox cameras are cordless with a rechargeable battery and come with a magnetic wall mount, setting you free to place them just about anywhere you want. 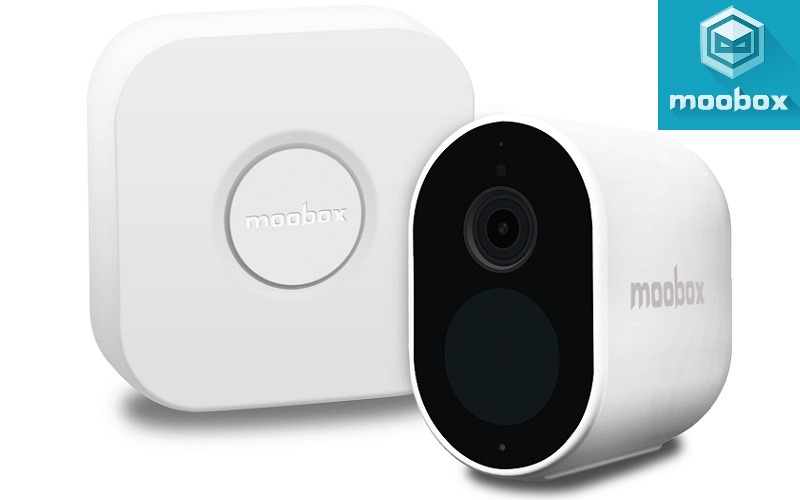 With HD video quality, live streaming, two-way talkback, PIR motion sensor, 2-in-1 video recording system (including Free Cloud storage), instant alerts to your phone, and more, Moobox wireless security cameras help you watch over people and places that matter to you - anywhere, anytime. Use the dedicated Free MooboxCam app for iPhone, iPad and Android to drop in and remotely view your home Live, playback archived motion triggered clips on-demand and generally manage all aspects of the Moobox system with ease. Reassuring home monitoring is now effortless and affordable with Moobox.